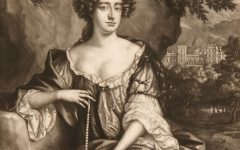 On the anniversary of the execution of Guy Fawkes, let’s take a look at the lives of two less well-known Gunpowder Plotters who have left their mark on the Tower of London. On 31 January 1606 four of the conspirators in the infamous Gunpowder Plot, including Guy Fawkes, were taken from the Tower to be executed at Old Palace Yard in Westminster. Two of the plotters, Ambrose Rookwood and Sir Everard Digby, are less-often heard about, perhaps partly because they were not included in the famous engraving of 1605. However, these men left their marks on the Tower when they scratched their names into the walls of their cells. These can still be seen today: Rockwood’s is off the visitor route in the Martin Tower, in the north-east corner of the Tower, while Digby’s signature can be found in the Broad Arrow Tower, also on the East Battlements. 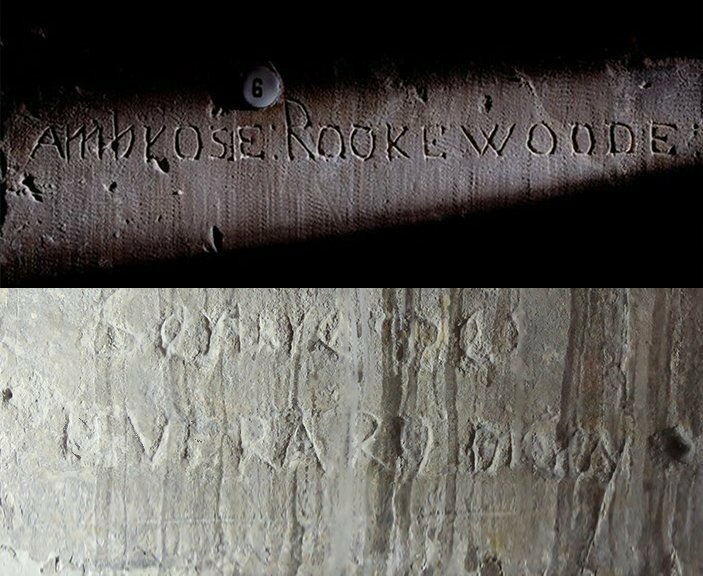 Prisoner graffiti was in fact rather common at the Tower of London, and visitors to the Beauchamp Tower today can see not just signatures but prayers, poems and even coats of arms. 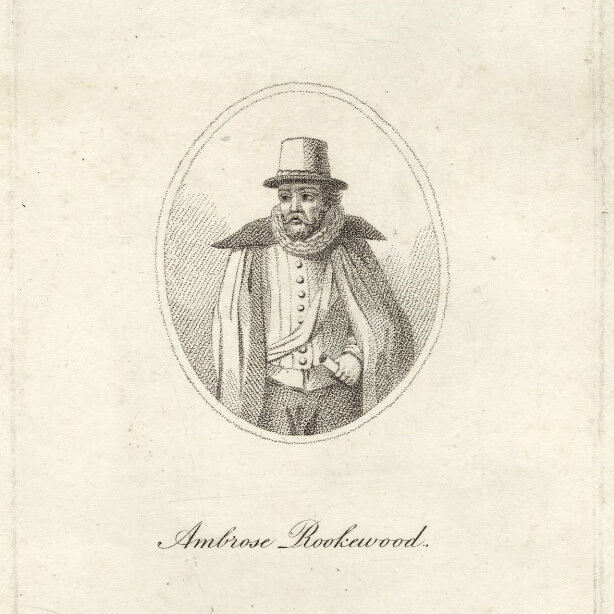 Ambrose Rookwood (c. 1578–1606), was the son of Robert Rookwood of Stanningfield, Suffolk, and his second wife, Dorothea. Rookwood was from a long line of staunch Catholics and was indicted for recusancy (religious non-conformity) in February 1605. Rookwood was probably recruited by the plotters principally because of his wealth and his impressive stables. He was certainly a fine horseman, and boasted after his capture that he had ridden thirty miles on one horse in two hours. 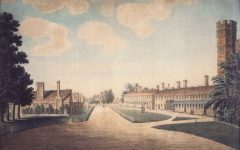 Rookwood was caught during the plotters’ famed last stand at Holbeach House, during which he was burnt in the face by exploding gunpowder, and shot through the right arm. 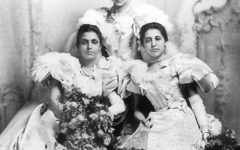 After imprisonment at the Tower Rookwood was tried, and condemned to be executed. He was hanged, drawn and quartered in Old Palace Yard on this day in 1606. Dissent clearly stayed in the blood, however: Rookwood’s namesake grandson (1664–1696) was implicated in the conspiracy to assassinate William III, and was executed for treason on 29 April 1696. Everard Digby (c. 1578–1606) was the son of Everard Digby of Stoke Dry, Rutland and his wife Maria. Initially Digby showed every indication of being a good royalist, despite converting to Catholicism. He held office in the household of Queen Elizabeth I, and was knighted by James I at Belvoir Castle in 1603. However, he was courted by Robert Catesby and thus became involved Gunpowder Plot, providing the enterprise with much needed finances. After the failure of the plot Digby was arrested near Halesowen and imprisoned at the Tower of London. 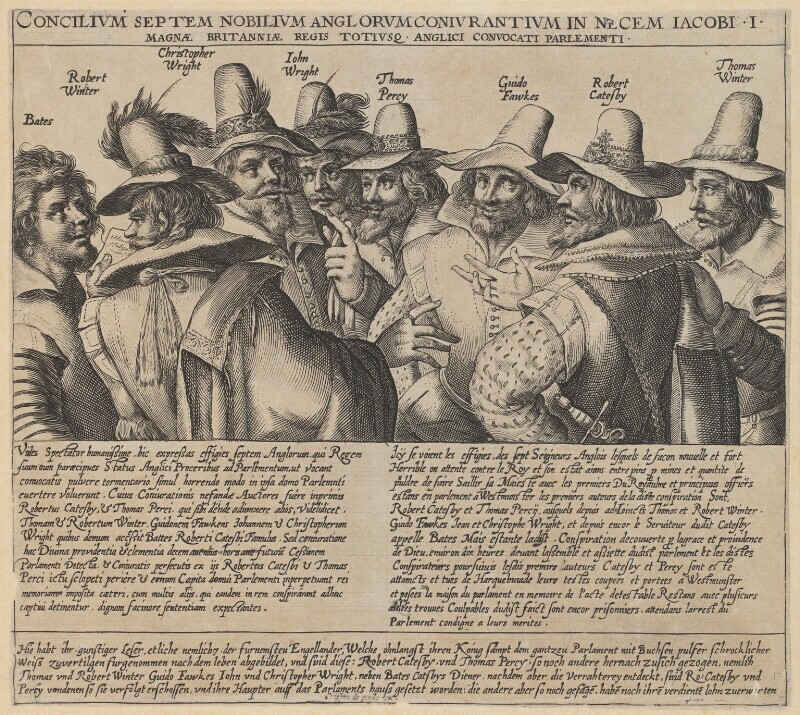 Digby at first denied involvement in the conspiracy but, on being presented with the testimonies of Guy Fawkes and Thomas Winter, he admitted prior knowledge. 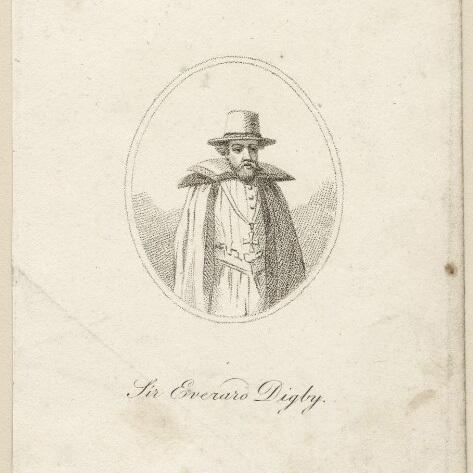 At his trial Digby carried himself with great flair and poise, and sought mercy for his family and for himself a gentleman’s death by the axe. The latter was denied, and he was hung drawn and quartered at St Paul’s Churchyard on 30 January 1635, although his family found some mercy and kept their lands. Indeed, Digby’s sons went on to demonstrate considerable loyalty to the crown, perhaps in recognition of this mercy. 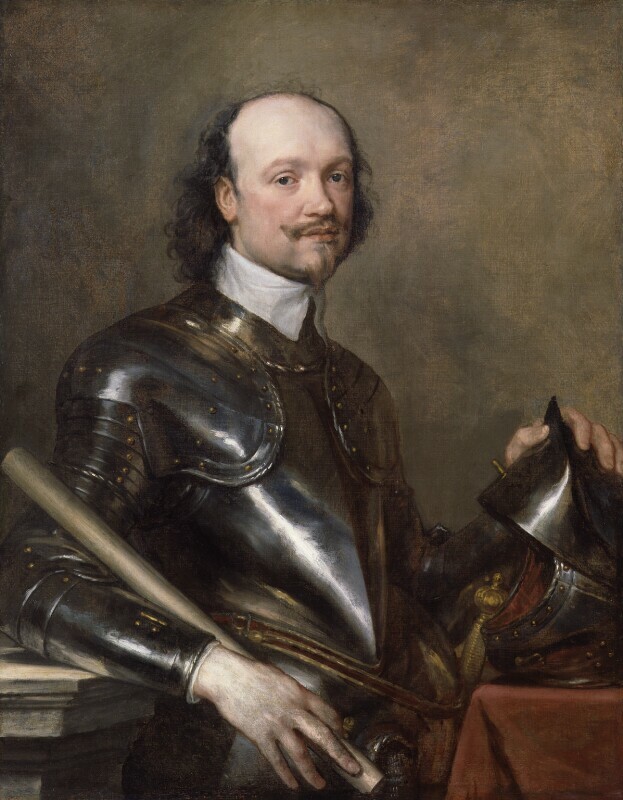 His eldest son, Sir Kenelm Digby (1603–1665), a notable scientist, served as chancellor to Queen Henrietta Maria in 1644, a position he kept after the restoration of Charles II in 1660. His younger son, John Digby (1605–1645), rose to the rank of major-general in the royalist armies of Charles I and died fighting for the King in 1645. Nice to know the history behind the names. I was surprised by all the names and other things carved in the walls of the tower of London when I visited. But I am surprised by how much the spelling has changed as the way the prisoners spelled their names and how we spell them is different.